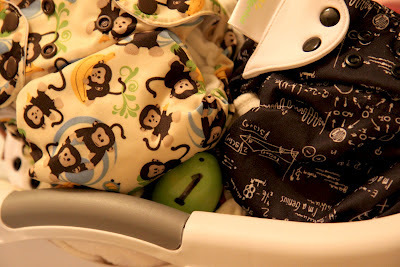 Organized Chaos: It's ok that the Easter Bunny was on a budget! 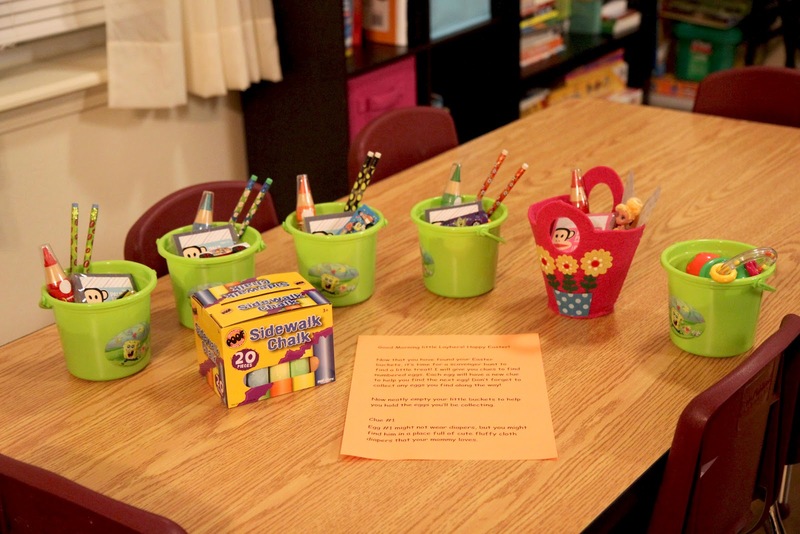 The Easter Bunny might have been on a budget, but SHE was still pretty stinkin' cool and set up a little scavenger hunt for the kids to go along with their little Easter buckets! 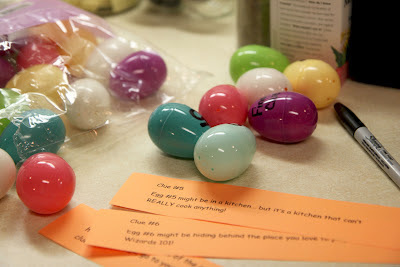 I thought a cute little scavenger hunt would entertain the kids when they wake up in the morning! Nothing too crazy, 7 clues. They are hunting for their candy! There are 25 eggs in all. The eggs with the clues are numbered and each clue leads them to the next egg with another clue. In order to get the "final clue" from Mom and Dad, they must collect all 25 eggs that are placed all over downstairs! An egg hiding in the clean diapers! 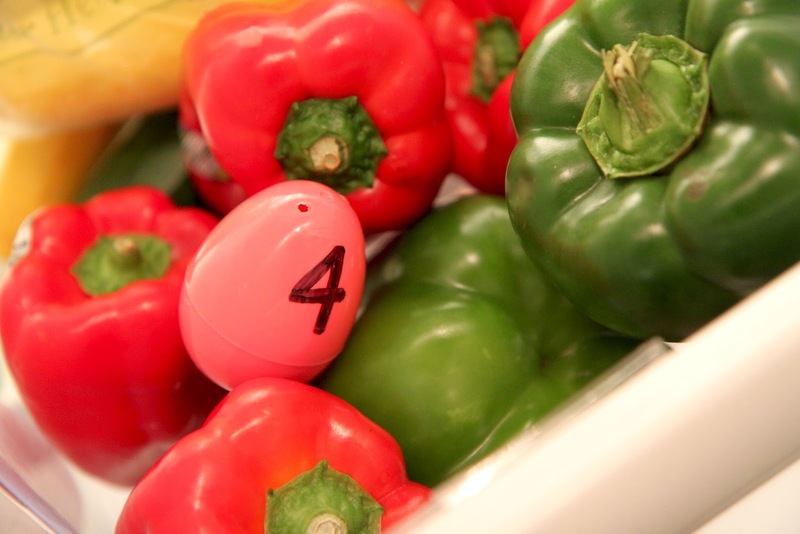 Another egg hanging out with the vegetables! 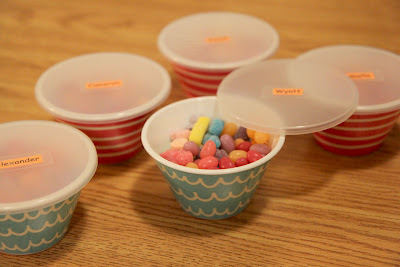 The little bowls with their candy! Come on, tell me this isn't an awesome hiding place for the candy!? What kid would think to look in there!? It's just something small, but the kids are going to love it! 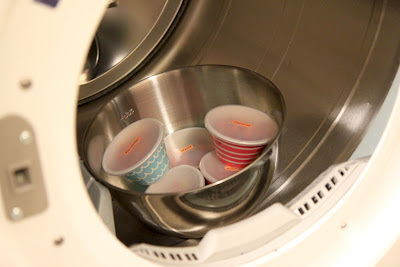 Kids don't understand the value of "stuff" ... what they're going to remember is how much fun they had and one day they'll realize how awesome their Mom was to think of fun things like this. <3 You're amazing!! We've done a map before! They love that too! That's a great idea....I'm going to try remember it for next year.